Submitted by chrishaller on Mon, 03/31/2008 - 23:16. Penguin books is working with 6 authors to tell 6 stories in 6 weeks. 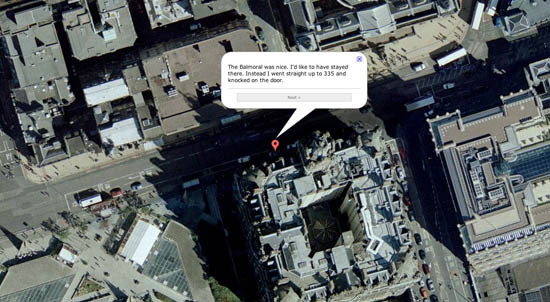 The first one, The 21 Steps, is told via embedded Google Maps. Wow. What a great method of delivering stories, especially this one that follows a man around town (inspired by the classic thriller The 39 Steps).